Summer Lovin': Day 1 Participation and Challenge Post ~ Love.Life.Read. Today is all about introducing ourselves and setting our goals for the week. With that in mind, here goes! I am beyond thrilled to be co-hosting Summer Lovin'! For those who do not know me, my name is Stephanie. I am a tween and teen librarian in Michigan. In my personal life, I have been married to my best friend for almost 10 years and we have one beautiful miracle daughter who will be 7 in September. I started Love.Life.Read as way for me to keep track of my reading (it was private for quite some time). 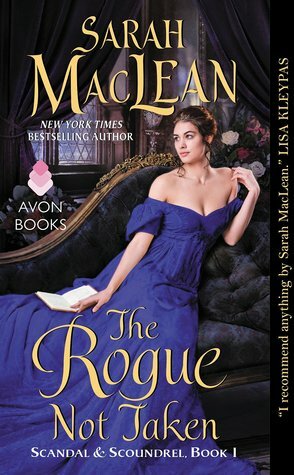 I decided that, after a while, I wanted to use this avenue as a way to connect with other readers and share my love reading--I have not looked back since! What about you? What are your goals for this week? "Oh, Kai. Staring at him, seeing his turmoil, I wanted to feel his face, to take away his worries and pain." "All you have to do is say the word, Kai, and I'm yours, in heart if nothing else." 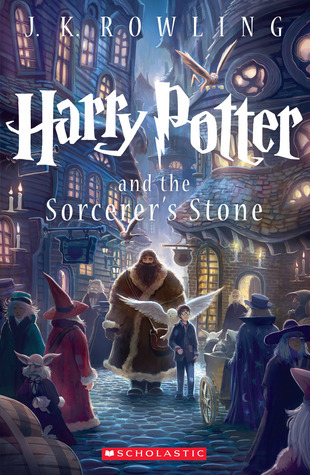 The One comes out in May next year unless the date changes. I sometimes prefer to wait until series are all the way out so I do not have to wait then others I just want to start reading now. :) Happy Reading! You have some great goals! Mine are a little vague but boil down to: read a lot and do as much as possible. lol Thanks for hosting! Those are great goals!! I do not believe you have to have specific goals if that is not your thing! We want everyone to participate who wants to do it! Thanks for stopping by and visiting! Happy Reading! I need to read Sweet Evil and Grave Mercy! Must, do that soon...MUST! Run my fellow Pink Lady--they are great books! Great intro post!! The Elite was amazing <3 I cannot wait for The One!!! Oh, I am already veering off of my posted list! I have a good excuse though--I needed a book to read on the train home yesterday and had to pick one of my ebooks. :) Thanks for stopping by and Happy Reading! Dark Triumph and Sweet Peril . . . two sequels to fantastic books I've read this year! I hope you like all the books you read! I have a large goal for the readathon. 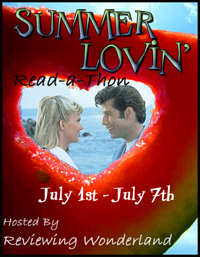 It's right here: http://readingismytreasure.blogspot.com/2013/06/summer-lovin-readathon-day-one-class.html . That's going to be very similar to my goals Stephanie, I'd also like to participate in as many challenges and participation posts as I can. I absolutely LOVE the Bingo, this is the most fun Read-a-thon I've participated to date, so many activities!!! Awe, your comment just made me so happy! I am so glad to read that you are having a great time Angelica! :) Having the participation posts ahead of schedule should hopefully allow for you to do as many as you would like!! Happy Reading! Hi, fellow former school librarian here. I love to read and love books. So glad I found your blog on the summer-read-athon challenge. I have a goal to read one really big book and to meet as many readers as possible and to learn about authors. Really liked your goals too and love your reading recommendations. Will be following you in all the ways possible. Hope you can link back with my blog too. yay another librarian! :) Welcome to my corner :) Those are fantastic goals!! I will pop over to your spot soon. Happy Reading! I have The Elite to read too, although I doubt I'll get to it during the read-a-thon - I'll be happy to read the three I've chosen! :) I'm hoping to complete the bingo board as well, although I don't know how successful I'll be! The teaser makes me wonder. Will Sweet Peril make me swoon?